Back in October when Microsoft first announced the new Microsoft Surface tablet speculation quickly grew as to what the pricing would be for the Windows 8 Pro version. Today we have our answer as Microsoft has revealed both the launch date and starting prices of the much anticipated devices. Both versions will both include a Surface pen with Palm Block technology and include the ability to use a Touch Cover or Type Cover which will be sold separately. Powering the new tablets will be Intel’s next generation Core i5 processor, 4GB RAM and a 10.6” 16:9 ClearType display that runs at a 1920x1080 full HD resolution. Surface with Windows 8 Pro also includes a full-size USB 3.0 port and a Mini DisplayPort that can drive an external display up to 2560X1440 resolution. Since the Surface Pro packs a ton more firepower than its RT counterpart the Pro is going to be a bit thicker and heavier than what we currently see with the Surface RT. 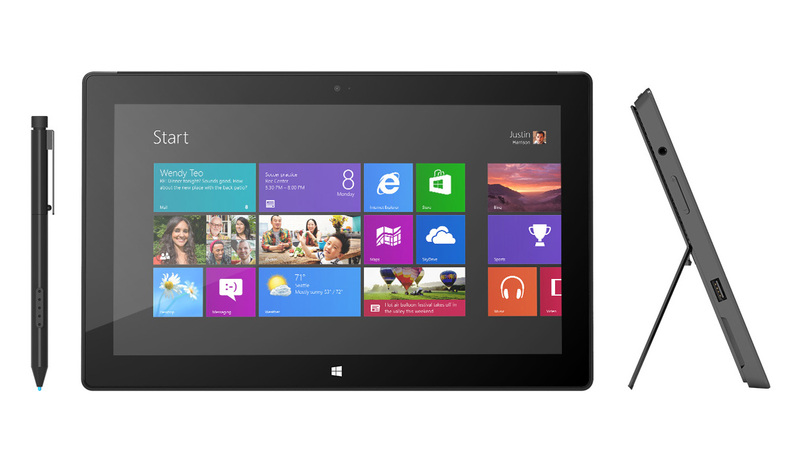 The Surface RT is 0.37" thick and weighs 1.5 pounds, while the Surface Pro is 0.57" thick and weighs 1.99 pounds.